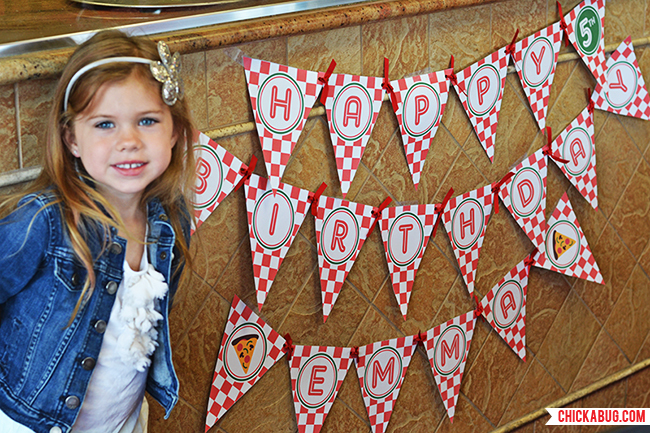 Pizza party: Emma is 5! 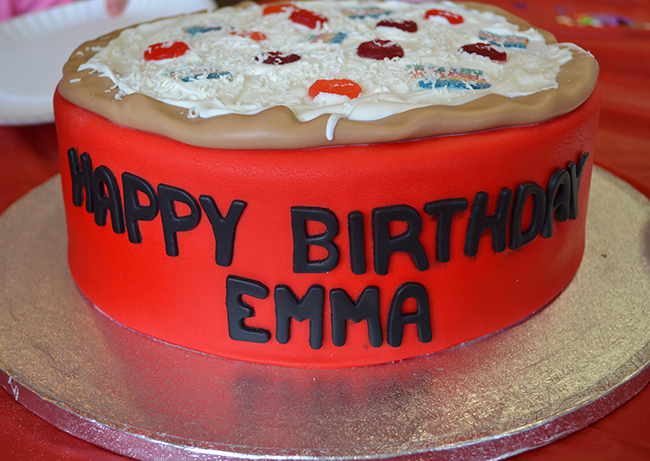 This adorable pizza party was thrown by my wonderful friend Sara for her daughter, Emma. 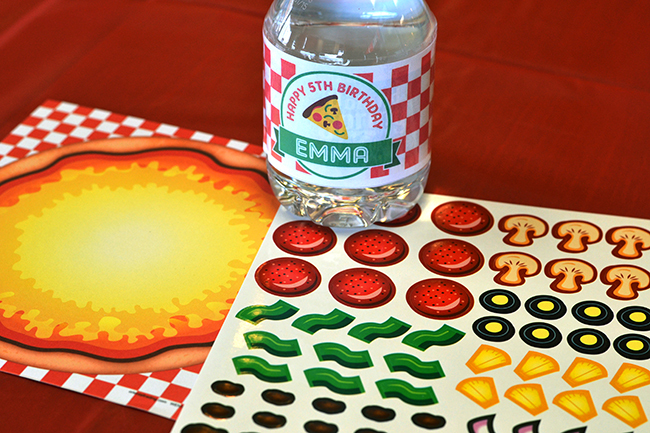 To set the scene, Sara used the pizza party theme from my shop, including invitations, water labels, and printables. 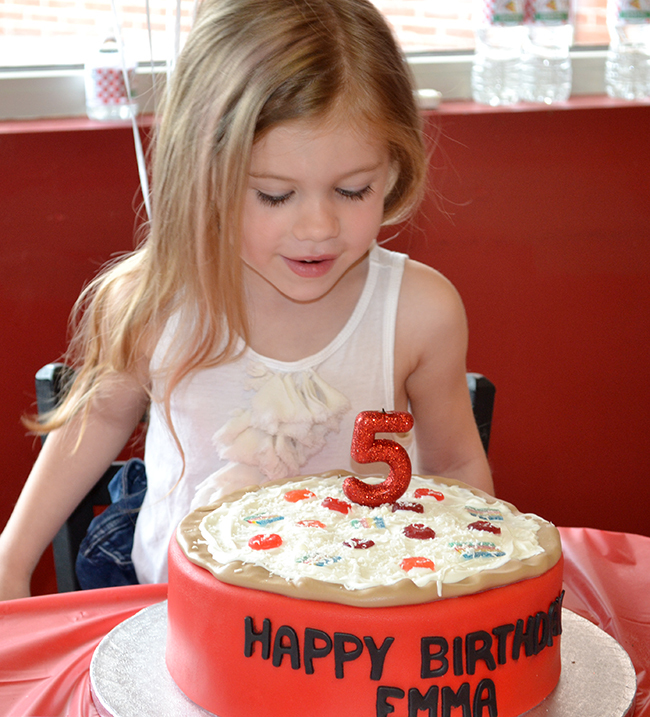 The party was so cute – I’m obsessed with the pizza cake and pizza cookies! 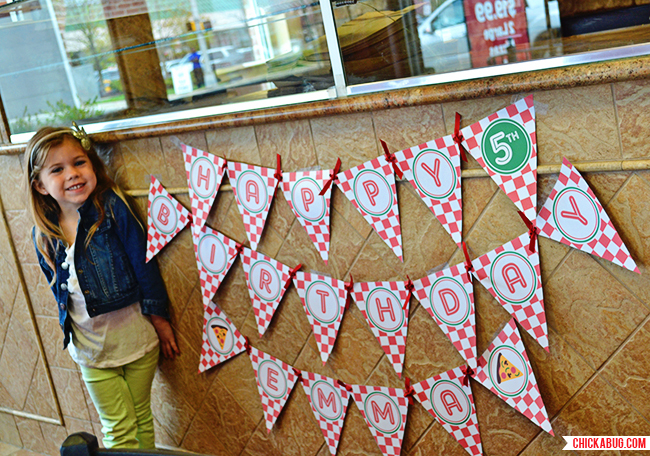 Sara hung a printable banner at the entrance to the pizza parlour. 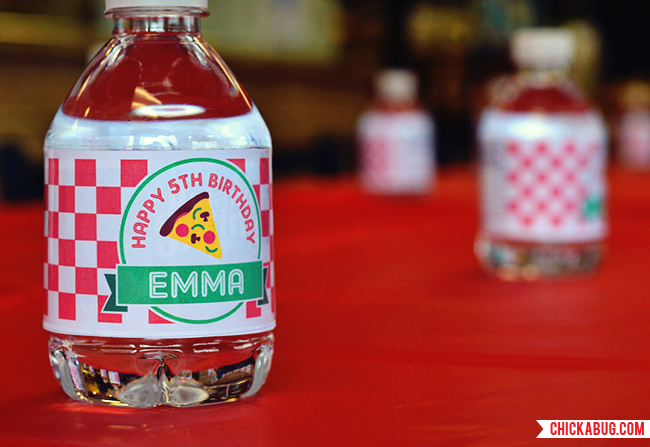 Emma’s personalized water bottle labels are from Chickabug. 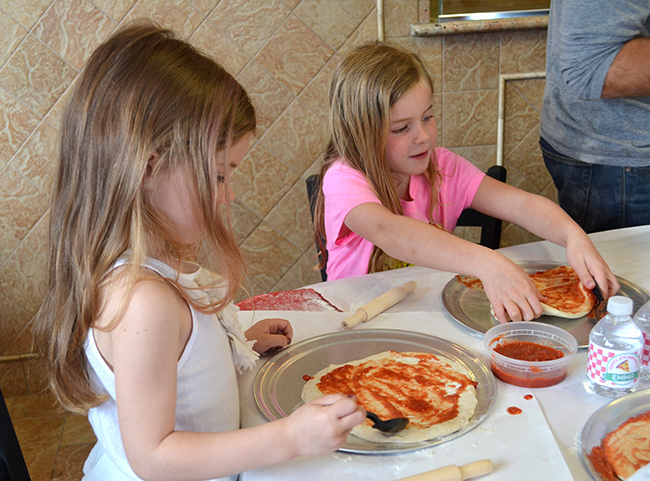 Sara set out pizza sticker games from Oriental Trading to keep the kids busy as guests were arriving. 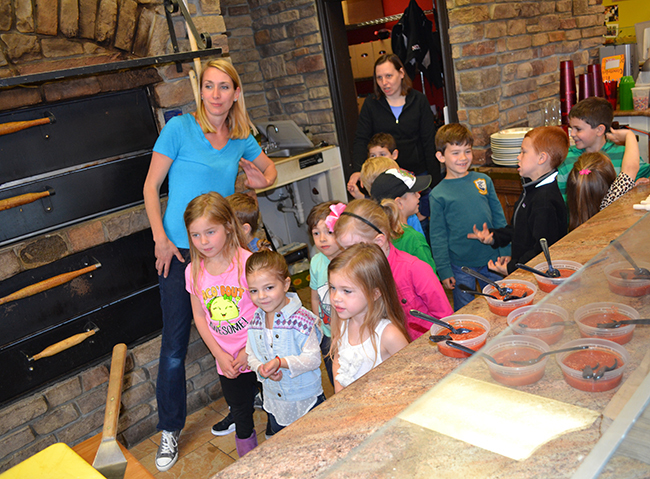 The kids took a tour to see the pizza oven! 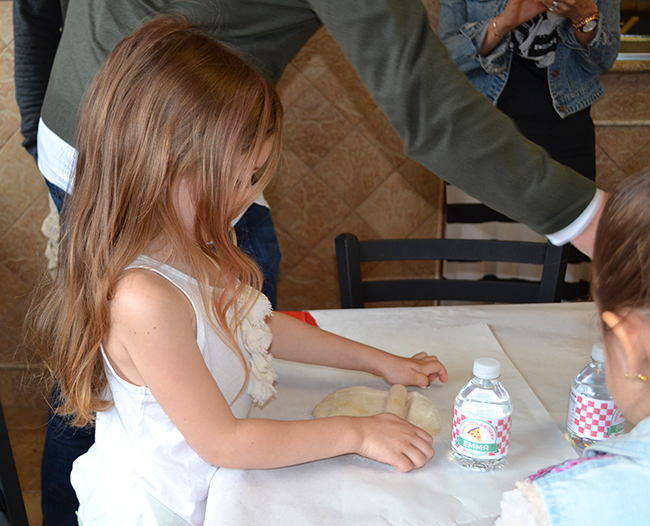 Then they rolled out their pizza dough with mini rolling pins, which they later took home as favors. 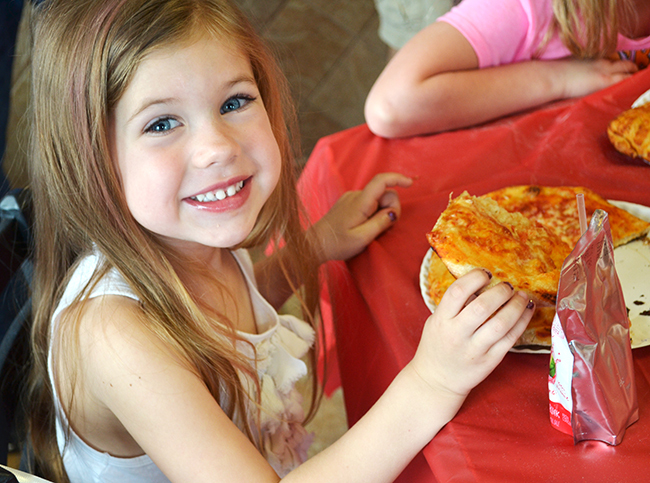 These pizza cookies are the BEST! 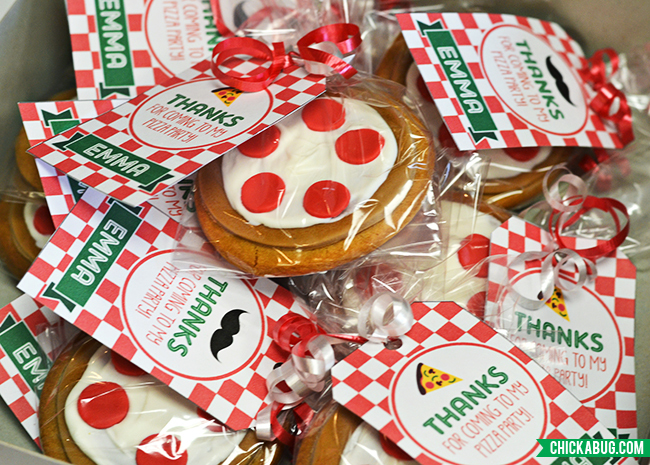 They’re paired with printable favor tags from Chickabug. 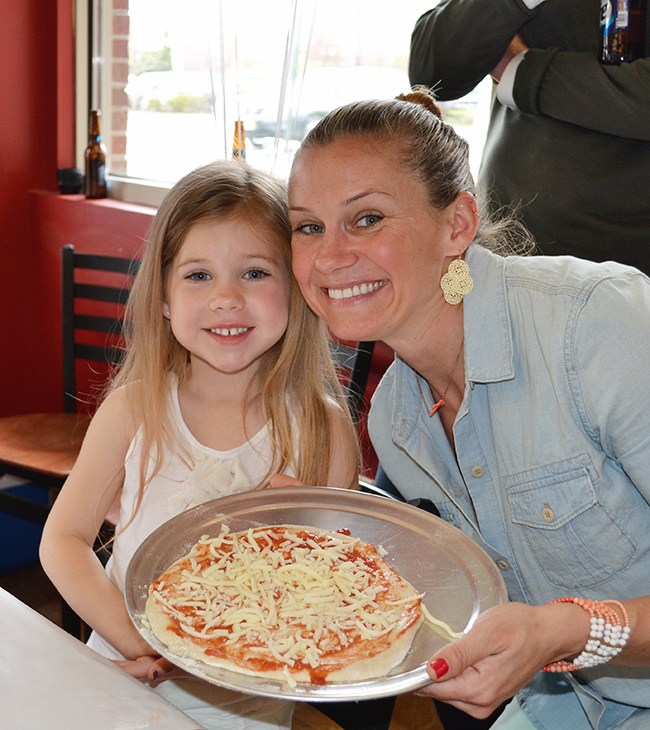 where did you get the pizza cookies? 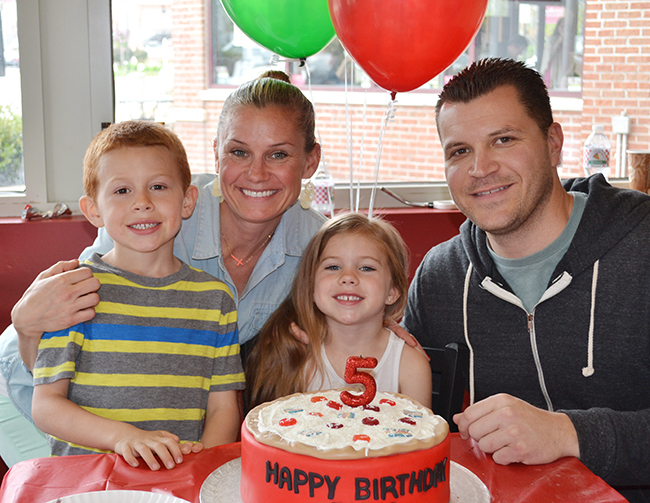 Sorry, I'm not sure where Sara got the cookies - it must have been a local bakery.